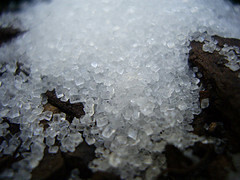 Originated in Egypt, sugaring is one of the oldest hair removal methods. There are many methods for hair removal available today. Laser treatments for hair removal are a very popular method, but are also very expensive. As an alternative to laser hair removal procedures, many people have chosen to wax or shave unwanted hair. Irritation or ingrown hairs can sometimes occur from shaving or waxing, but both are affordable methods. One of the oldest hair removal methods is sugaring, which originated in ancient Egypt and continues to be very popular in Middle Eastern countries.Â Sugaring is an alternative for people who have had unpleasant skin reactions when removing hair, such as redness or bumps. 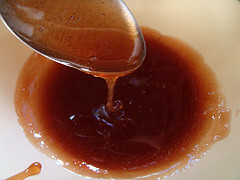 Sugaring is similar to waxing in that a warm mixture is slathered on the skin and then quickly removed to pull out hair follicles by the roots ,it’s said to beÂ less painful since the sugar paste adheres only to the hair and it can never scald the way a hot wax can because you roll it in your hands before application. Sugaring is hypoallergenic and an ideal hair removal method for sensitive skin, but remember to test a small area first just to be sure you don’t have an allergic reaction to it. It’s a great method to avoid skin irritations and hair regrowth is slow. There are sugaring hair removal kits that have correct amounts of sugar, lemon and water pre-mixed, or you can check out the video at the end of this post and make your own. Â All you need to do is warm the mixture by placing it in hot water. When it becomes spreadable, simply apply it in the direction your hair grows, cover with cotton strips, allow it to cool and then pull the strips in the opposite direction of hair growth.For best results, the hairs should be short. Pull the skin that you’re going to treat taut and spread the sugaring paste onto it in the direction the hair grows. Then pull it back in one stroke. Rinse with cool water afterwards. Always make sure to read and follow the directions provided. Brazilian Wax-What to expect and what happens?